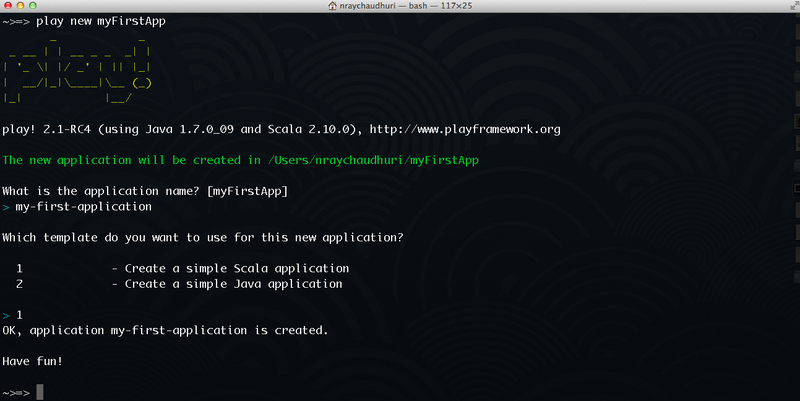 If you installed Play Framework using Typesafe Activator, then follow the instructions here on how to create a new application. The Play standalone distribution comes with a script called play, which can easily be used to create a new application. name := "My first application"